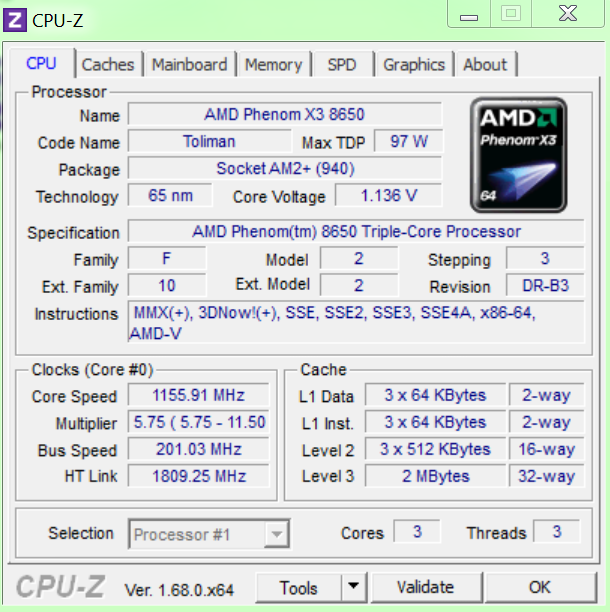 CPU-Z is a handy free utility that shows you a lot of data related to your processor. 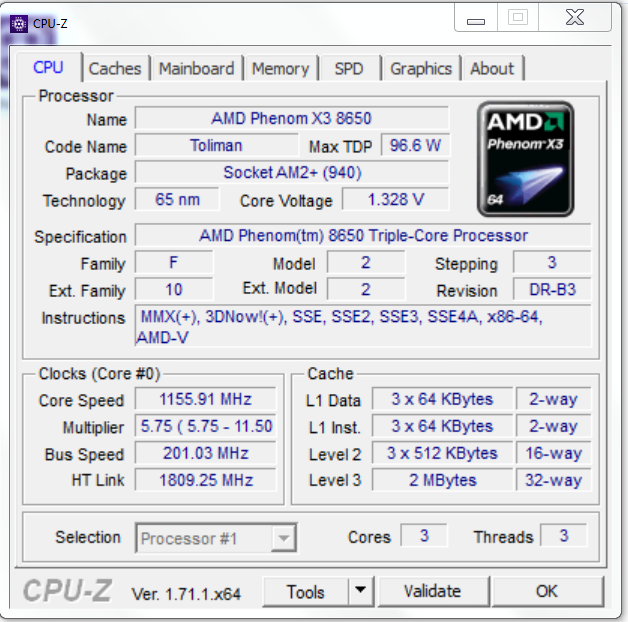 CPU-Z provides detailed information about the name of the processor (speed, technology-micron-family, multiplier, FSB, BUS speed, etc..) Cache information first and second level, manufacturer, model, chipset, BIOS speed and memory AGP bus, type and amount of RAM installed and the manufacturer and the frequency at which it works, and much more information. CPU-Z is definitely a handy utility analysis specializing in the microprocessor, motherboard and RAM. thx goliat72, it is good to know if things are running fine. @Waldemar wrote: thx goliat72, it is good to know if things are running fine. Good game won me in infinitochess. Oh Blanco! Nice to meet you there!